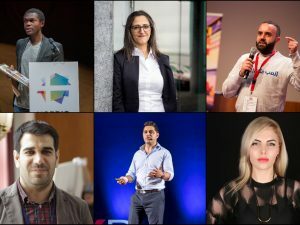 On International Migrants Day, we take a look at the tech innovations of 6 migrant entrepreneurs who are disrupting the tech industry across borders, from Germany, to Norway, to the US. 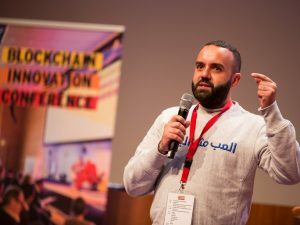 Raafat Hantouch during his participation in the R Ventures Forum, in June 2018. Photo by: Startups Without Borders. 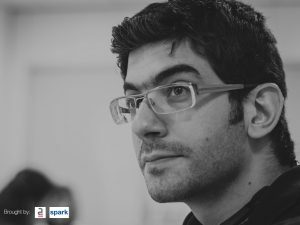 Born in Syria and based in Germany, Raafat Hantouch turned a dramatic childhood experience into an innovative tech solution that is now making waves in Germany. His startup, Bote, offers parents wearable devices for parents to track their children – through a shoe insole. 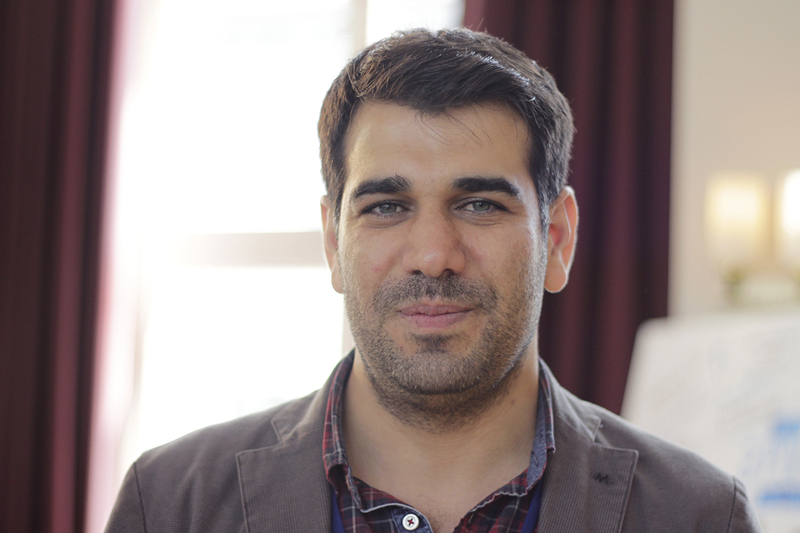 “Bote is a smart shoe insole for kids to help parents have peace of mind about their safety,” Hantoush explains. “There’s a hardware chip that contains the latest low-frequency technology. Through their smartphones, every parent can see a notification whenever the kids go far away,” he explains. Tey Alrjula speaking at the Blockchain Innovation Conference. Credit: Courtesy of Tey Alrjula. 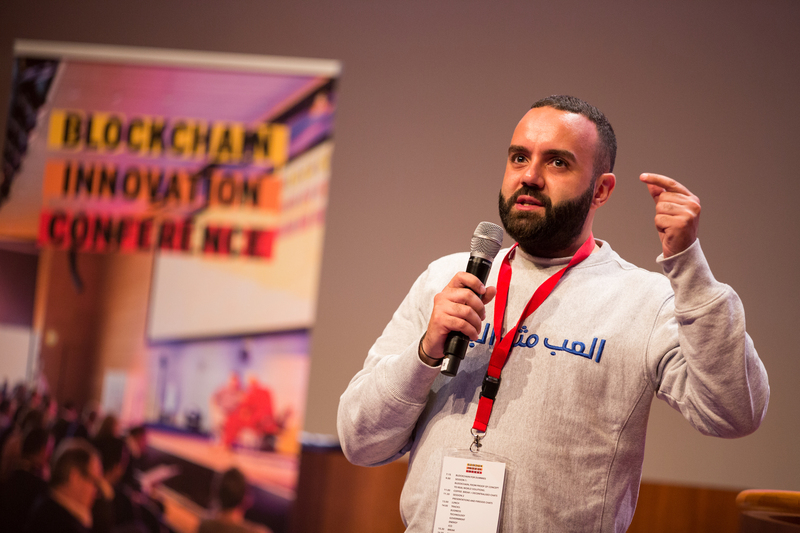 “I wanted to sign the deal at the entrance door of the refugee camp,” says Tey Al Rjula, as he unveils the $450,000 pre-seed round he closed last year for his startup, Tykn, which uses blockchain to give stateless people a form of virtual identity. 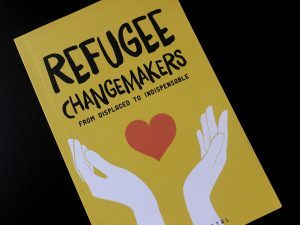 The entrepreneur came up with the idea during his two-year stay in the Ter Apel refugee camp, in the Netherlands. The experience was eye-opening for the cryptocurrency enthusiast. There, he heard the stories of hundreds of people who lost not only their homes, but also their identity. “Lots of children don’t have identities. When the war is over in Syria, how are we going to reunite the families with their children? 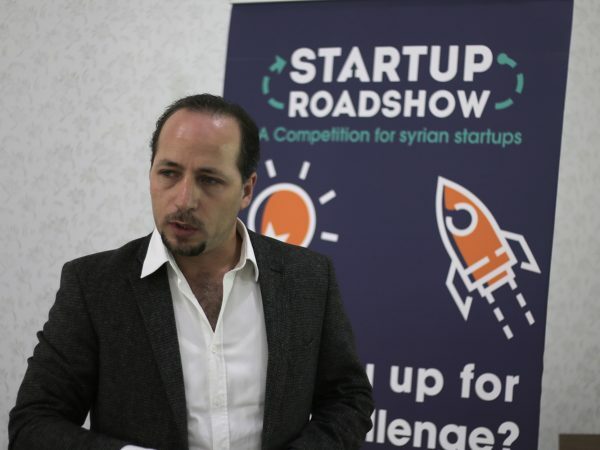 We don’t have a way,” he said during an interview with Startups Without Borders. 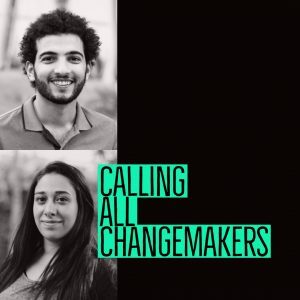 Tykn is now working with a major humanitarian organization to create a technology that helps them provide stateless people with a way to financial inclusion. This technology includes an identity wallet, for any stateless person to claim his identity using a card with a QR code. Rania Hoteit’s ID4A recently got listed amongst Inc’s top 5000 companies. Credit: Courtesy of Rania Hoteit. She arrived to the US at 18, with only 1.000 in Her Pocket. Today, she is the power woman behind a tech empire that this year made it to the list of Inc’s top 5000 companies. The secret? Her relentlessness. “While I was a student, I successfully grew and sold 2 companies. I launched my first business when I was in undergraduate studies, and the second one when I was completing my first Master’s degree. At the core of it all, my passion always lied in exploring innovative paradigms that bridge humanities and design with technology and business. I came from engineering, into industrial design, architecture and branding,” she says. But she admits the roads was not easy. 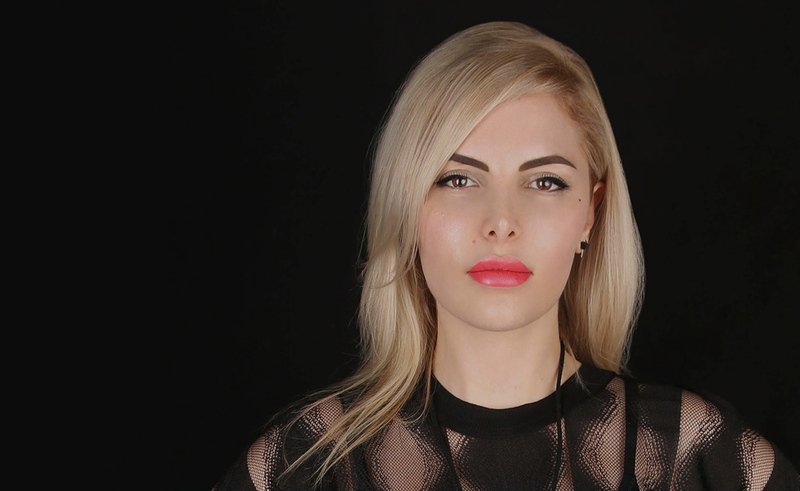 “Coming from the Middle East as an Arab woman, I was being systematically isolated. Discrimination by classmates, teachers, and work colleagues became usual encounters for few years. Then during the early stages of starting my business, I had to break through many gender barriers. It was a defining moment when I decided to become an entrepreneur,” she said in an interview with Startups Without Borders. 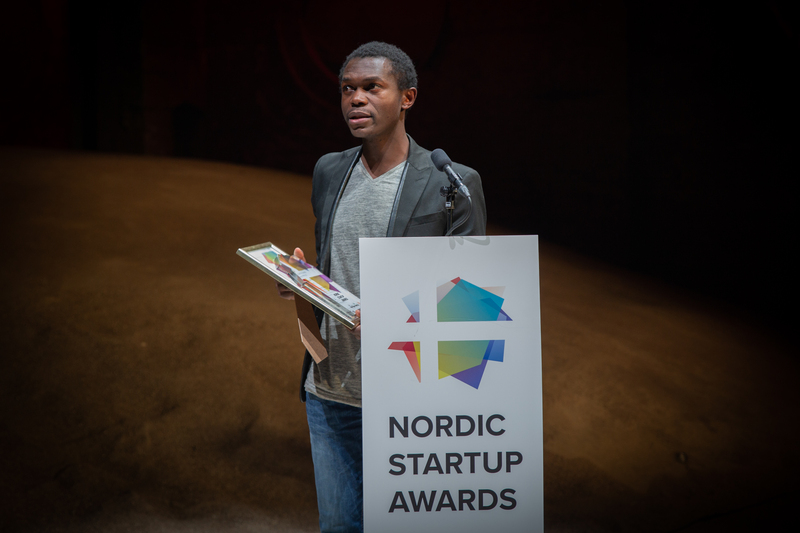 Last month, Mukuta received the ‘Brave Founder Beginnings Prize’ at the Nordic Startup Awards. The Congolese entrepreneur is the founder of VipiCash, an app that uses blockchain technology to enable secure money transfer among women, so that they can have access and control over their own money, independently from the male members of their family. 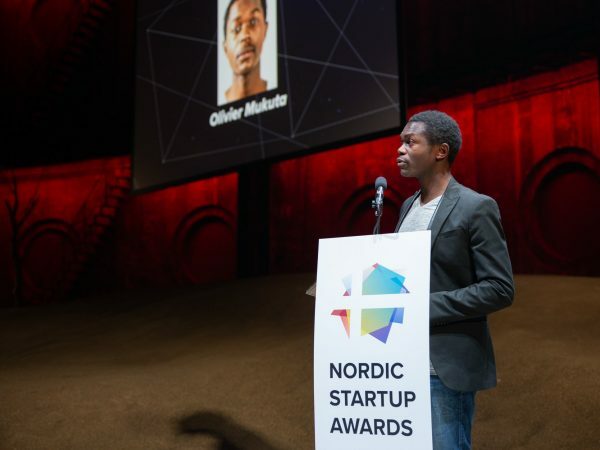 Olivier’s journey as an entrepreneur began in a refugee camp in Malawi at the age of 13, when he started selling an email service to fellow refugees. After moving to Norway, the experience while sending money back to the refugee camp inspired him to create VipiCash. “We would always find out the money we’d sent was not used as intended. 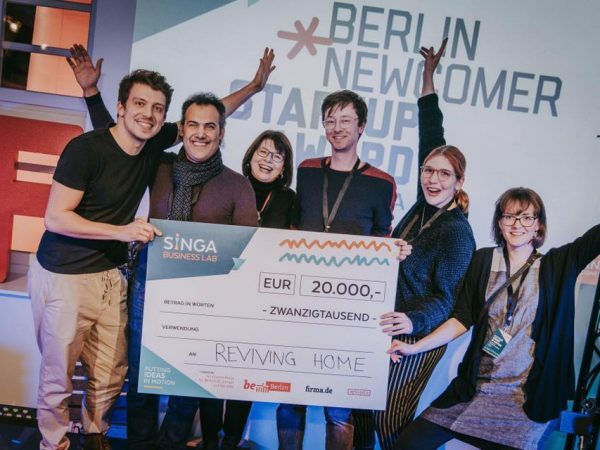 It was frustrating,” he told Startup Migrants before receiving the Brave Founder Beginners Award. 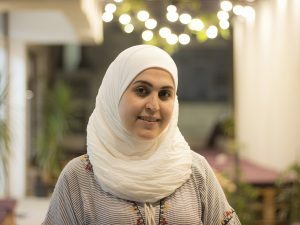 Palestinian entrepreneur Fida Abu Libdeh found her way into entrepreneurship through her studies in energy engineering. Her startup, GeoSilica, has developed a unique production method to extract, concentrate and purify silica minerals from geothermal water, aiming to increase the utilization of geothermal energy. The company is now valued at 700 million, with its products sold in Iceland, Amazon.com, all German-speaking countries, Hongkong and is finalizing agreements to sell in Canada. “My journey as an entrepreneur started at a young age, in the sense of taking a risk for building something new. 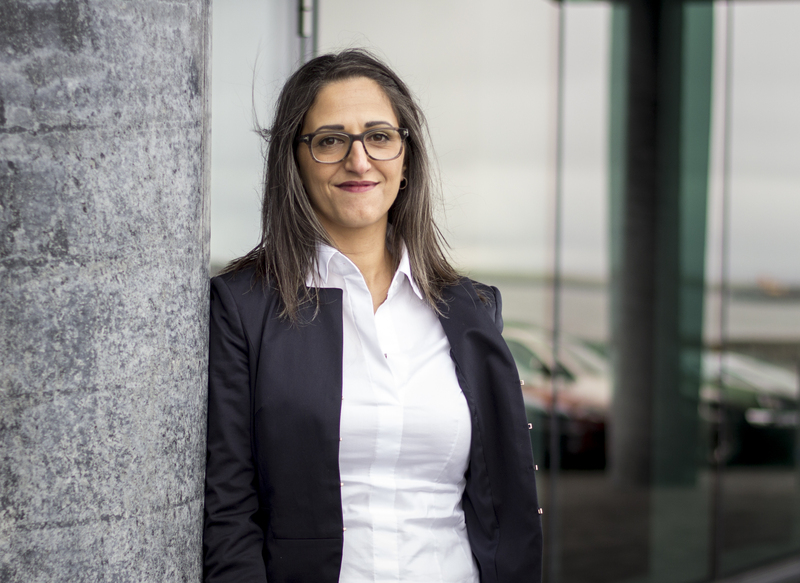 I was born and raised in Palestine, and came to Iceland at the age of 16 looking for a better life,” she recalls. Waheed Arian takes the stage at TEDxRoma Salon. 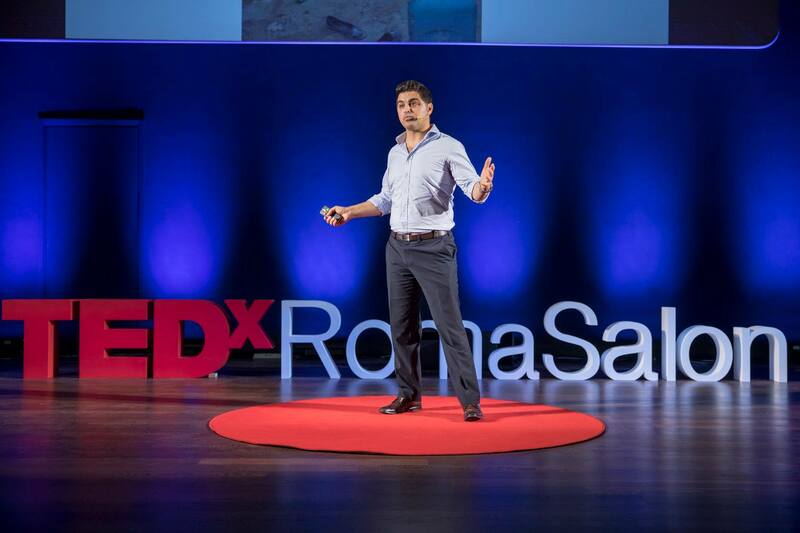 Photo credit: TEDx Roma. Having fled his home-country at 15, Arian arrived to the UK as a refugee, and earned a place at Cambridge University to study medicine. 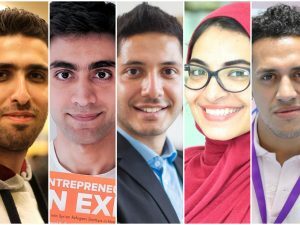 Having graduating with awards from Harvard and Imperial, he was working as a doctor at Aintree University Hospital in Liverpool, when the idea of his non-profit, Arian Teleheal was born. The organisation uses volunteer doctors from the UK (NHS) and the US, along other countries, to advise colleagues in war zones and low-resource countries using encrypted social media, enabling real-time discussions on the best available care for patients. The application now counts with 100 volunteer doctors and is soon expanding to rural areas of Uganda and South Africa, as well as other African and Asian countries. 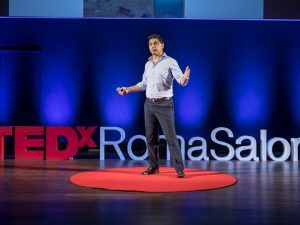 Read the article about his talk at TEDx Rome Salon here.